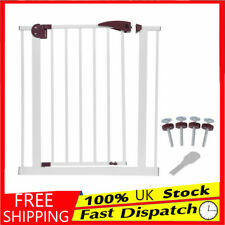 This is a high quality safety gate for your pets or children. Made of high quality material, it's tough and durable. Perfect for doorway, hallway and bottom of stair use. Great to ensure your babies or furry friends' safety. Item type: Pet Fence. 1 Pet Fence. Net size: 180 72cm. Applicable object: dog. Otherwise deal is final. All products are quality checked. The colors deviation might differ due to different monitor settings. If you need to add a cat flap to a thick or cavity wall, you will need this extension kit to stop kitty from falling into the cavity. 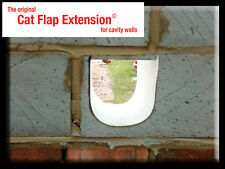 Cat Flap Extension©for thick and cavity walls. It will fit like a 'U' shape which is the strongest and simplest shape possible for this situation. Tooth Whitening. Facility Maintenance & Safety. Healthy & Beauty. ALL-health & beauty(2 group). This cat door is made of durable and sturdy plastic, designed for screen door and window to allow your pet go out or in freely. 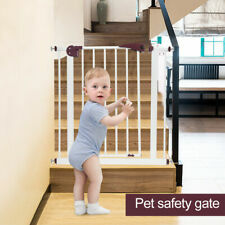 This is a high quality safety gate for your pets or children. Made of high quality material, it's and durable. Perfect for doorway, hallway and bottom of stair use. Great to ensure your babies or furry friends' safety. Now you can easily install a dog flap in your glass door or panel for a clean, clear look that both your dog and cat can use. The Transcat clear door isideal for sliding glass doors or glass panels, as well as solid wooden panels and doors.